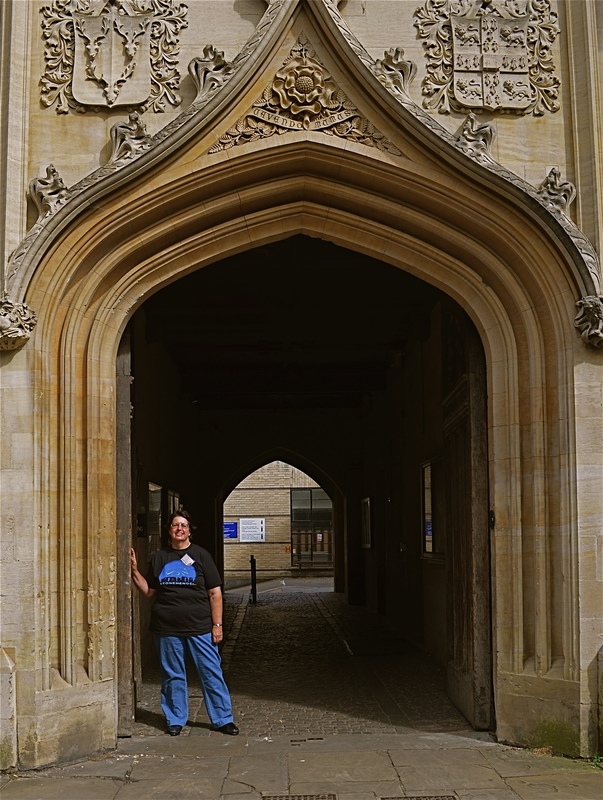 The old Cavendish Lab at Cambridge University, where Watson and Crick discovered DNA, is kind of like Mecca for people who love genetics. So is the Eagle Pub where they ate lunch daily and announced their discovery. I’m not convinced which is the more important. 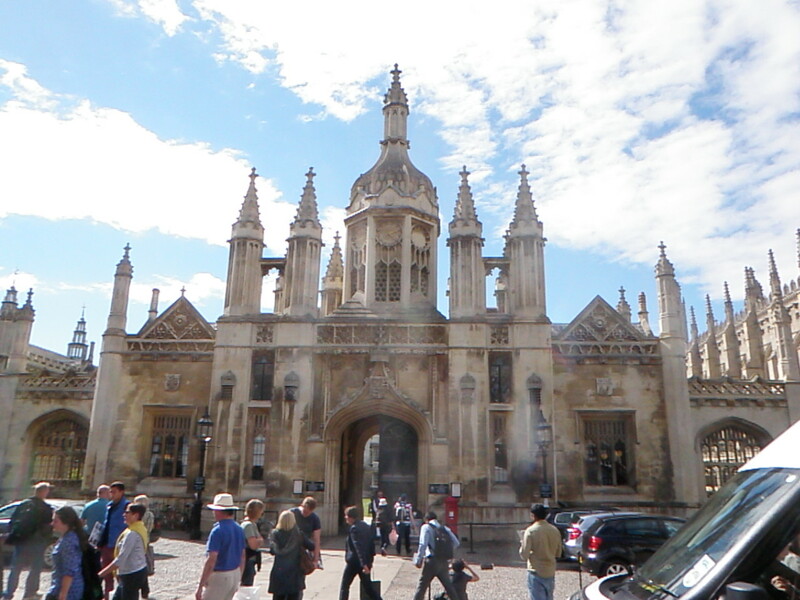 Our family tour in September, 2013 was scheduled to visit Cambridge, England, after leaving London. I’ve been truly blessed this trip with the most wonderful coincidences. In London, our hotel was located just across Hyde Park from the Science Museum where Watson and Crick’s original DNA model is housed. In Cambridge, we are staying right around the corner from the Cavendish Lab where Watson and Crick discovered DNA. Talk about literally walking in the footsteps of the masters. 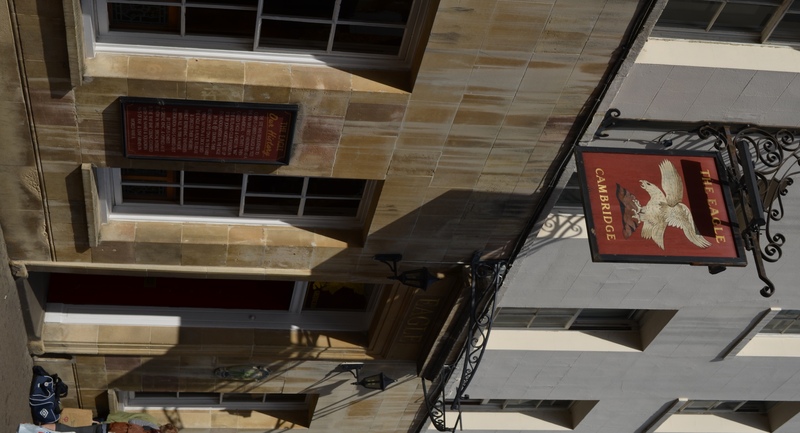 I was pleased when I discovered Cambridge on the itinerary, and I googled to find the Eagle Pub. I was excited to find that it was indeed within walking distance of the Cambridge City Hotel where we were staying. Although I don’t drink, I would visit the pub and raise a non-alcoholic brew for Watson and Crick’s momentous discovery. Problem is, I discovered, that they didn’t have any non-alcoholic brew. In fact, most of England views non-alcoholic brew as “why bother.” While I agree in concept, sometimes it’s not by choice. 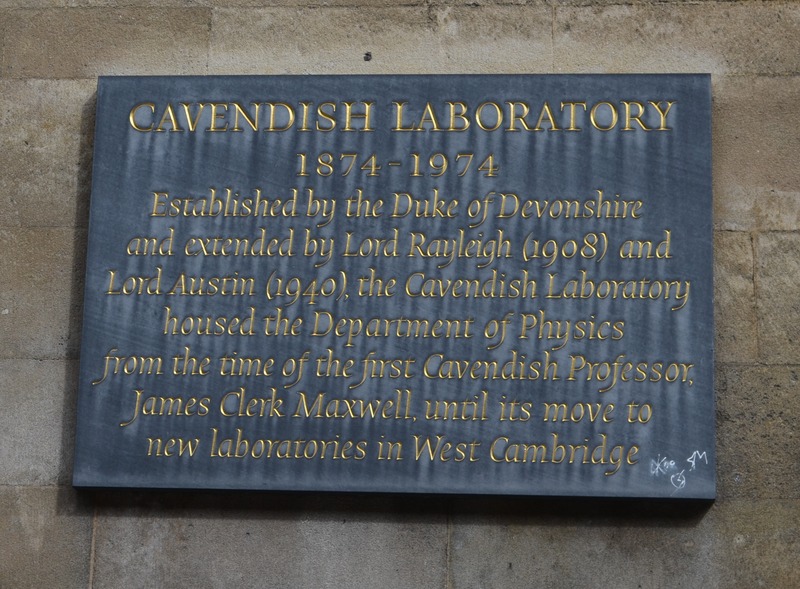 Wondering why the Cavendish Lab is important? The Cavendish Lab at Cambridge University was the birthplace of the discovery of DNA. James Watson and Francis Crick discovered DNA in this lab in 1953. This year of course is the 60th anniversary of that discovery and James Watson was interviewed in celebration. Crick passed away in 2004. Before visiting Cambridge, I tried to find the Cavendish Lab on a map and it looked to be entirely across the campus, which is not small. That made no sense to me, since the Eagle Pub was close to the hotel, but I accepted that I might not be able to see the lab. I’d have to be satisfied with the Eagle Pub. Why is the Eagle Pub important? It’s where Watson and Crick lunched and probably did a lot of brainstorming. Pubs are like that in England. On our day of arrival, a walking tour of the city with a guide, a retired professor, was scheduled for that afternoon. After we began the tour, around the first corner, on a street that was only wide enough for one car, and then no cars, I remembered to ask the guide about the original Cavendish Lab. Given that he was a retired professor, I figured if anyone knew, he would. He smiled broadly, and said “I’m so glad you asked…it’s right up ahead.” To say I was thrilled is an understatement. In fact, this is one of the few locations I’m actually IN the photos, um, actually, in most all the photos. My cousins were so excited because I was excited that they took pictures of me. This was definitely “my day” on the trip. This photo of me, taken in front of the Eagle Pub pretty much sets the mood. The Cavendish Lab, it turns out, was on the right hand side, just about where the road narrowed too much for any vehicle. 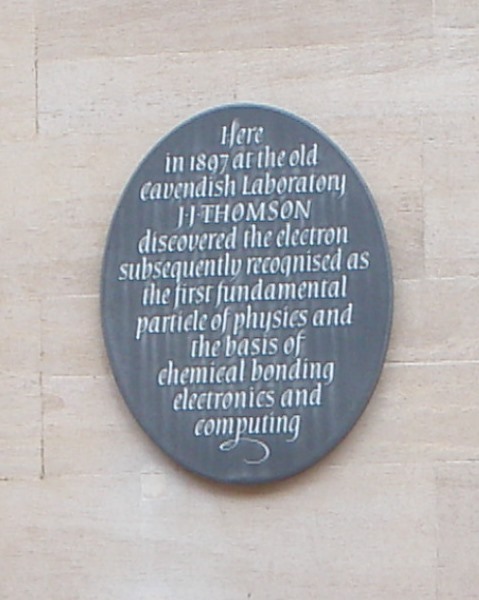 There was a sign mounted on the wall of the building that this was indeed the old Cavendish Lab. There is a new Cavendish Lab across campus, the one I had seen on the map. So far, my luck on the DNA trail had been remarkably good. 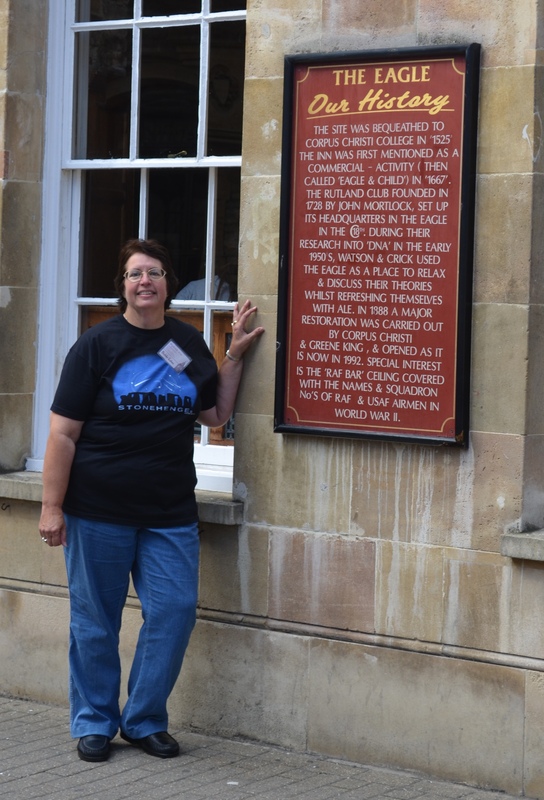 I, of course, was thrilled to be where Watson and Crick began what would be a blooming industry 60 years later with a world of promise. In another 50 years, DNA will be responsible for the cure of many diseases we feel are hopeless or nearly so today. Like at the Science Museum in London, I was very disappointed to see it relegated to not even the footnotes. I tried to find a DNA souvenir, t-shirt, hat, something to purchase and there was not one DNA thing in any store. For shame! Come on – Double Helix Ale anyone??? Cambridge is an ancient medieval city and it’s evident everyplace. 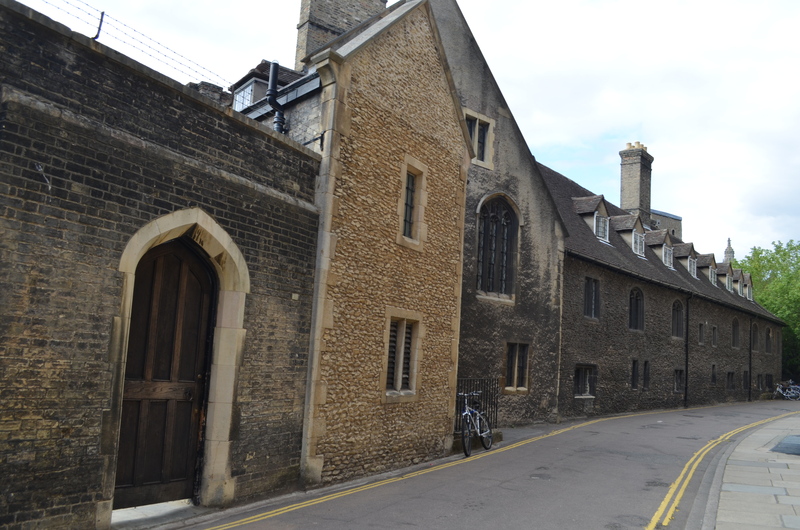 The Cavendish Lab is arguably on the oldest “street,” or cartpath, in Cambridge. I say this because the oldest church is right across that cartpath and dates from about the year 1000. At that time, churches were always at the center of the village. Today, that cart-path is not wide enough for a car, and there is no room to expand. Today, the ancient church is of course physically tied into several other buildings and abuts others, as all buildings here generally are, especially old buildings. This photo shows the oldest church constructed of chocolate brown stones, another very old church as well, and the spires of King’s College Chapel begun by Henry the 6th and finished by Henry the 8th in the distance to the far right. Note that this is a one lane street at this point that shortly narrows to exclude vehicles. To put this in perspective, the Eagle Pub is just about where the trees are on the far right, beside the King’s College Chapel spire. In most of England, and assuredly in Cambridge, what we consider is the US to be old buildings, a hundred or two years old are considered to be rather new. Their old buildings were constructed before Columbus “discovered” the Americas. I can only imagine the nurturing quality of studying and working among such history. I suppose one would get used to it, but I hope it would never be taken for granted. There are two entrances to the lab. One is through this door. Watson and Crick exited through this door, walked down this cartway every day for lunch and ate at the Eagle Pub, just a short walk away and around the corner in front of the church. It’s here that they fined tuned their DNA research as do both students and professors yet today. The second entrance to the lab is through this archway which actually forms a tunnel under the building. Half way through the tunnel is an entrance to the buildings on both sides. Walking a short distance down the cobblestone street, just past the chocolate colored church, you intersect a road and slightly to the left is the Eagle Pub, where Watson and Crick ate lunch most days and discussed their projects. Rest assured that DNA was indeed a hot topic of conversation here. In fact, it’s reported that they were so excited about their discovery that they told everyone in the pub that they had discovered the secret of life, only to have everyone ignore them and just go back to their pint of ale. It had to be an extremely anti-climactic day for them – but if any patron remembers the crazy men in the pub that day that announced the discovery of the recipe of life itself – they indeed were a witness to a momentous discovery. Inside the pub, in a stairway to the loo (bathroom) we found this sign. 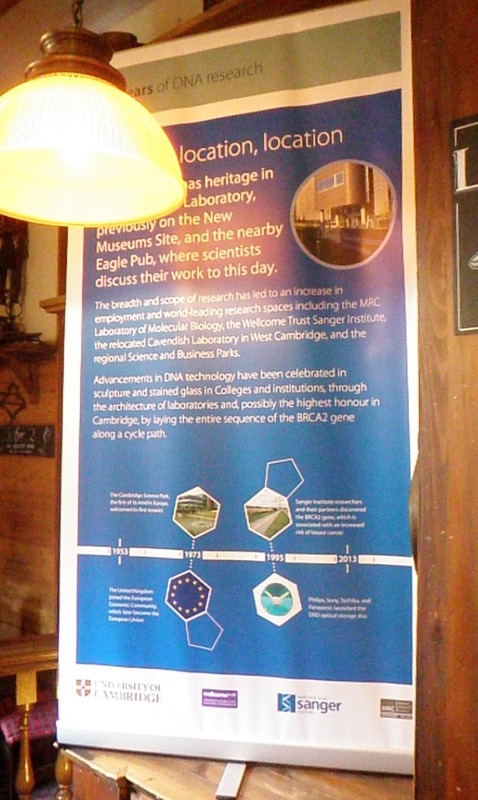 The Pub actually holds more information about the discovery of DNA than the university location does. I find this really unfortunate, as well as ironic, but maybe not as many people as I imagine might be interested in the history of DNA. I would think they would at least mark the DNA “Double Helix Trail.” It could end, or begin, in London at the Science Museum where the helix model resides today. The pub itself is in a very historic area, literally in the middle of the “old town”. 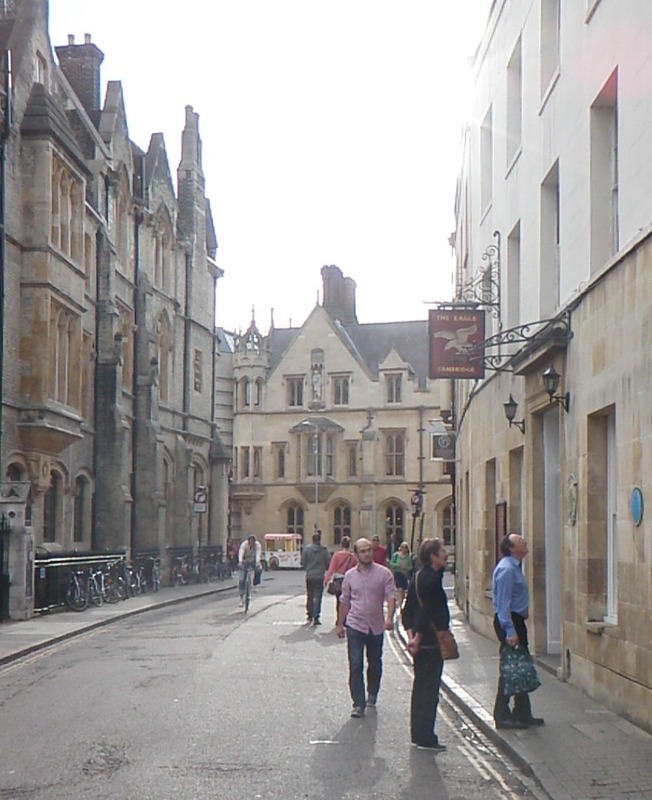 Here’s a photo of the street itself, the pub, on the right. Cambridge is a place of thinkers, and obviously, of doers as well. It turns out that DNA was not the only discovery in the Cavendish labs. I wonder what other discoveries were made in these hallowed halls. Did you know that Mitochondrial DNA was first mapped at Cambridge in 1981, hence, the CRS or Cambridge Reference Sequence? What is it with DNA here? Rosalind Franklin, pioneer molecular biologist and a key contributor to the discovery of DNA studied at Newnham College at Cambridge, but when she made her x-ray diffraction images of DNA, utilized by Watson and Crick, she was at King’s College in London. 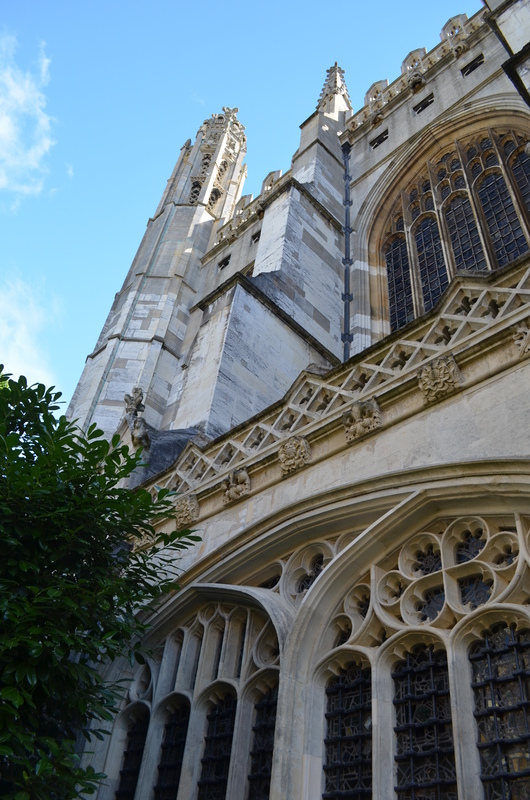 Cambridge is steeped in history never more than a few feet away. 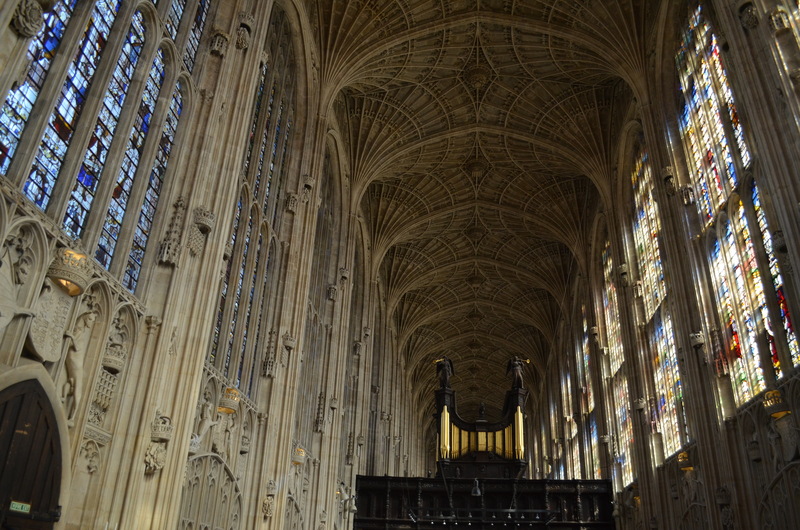 In the photo of the pub, above, if you turn right when the street ends, you’ll be greeted with this scene, the King’s College Chapel with its rich history of starting and stopping construction through the reigns of 3 kings and the English Civil War. This is the steeple you saw in the distance in the photo of the street where the Cavendish lab is located. The architecture of this building is utterly stunning. 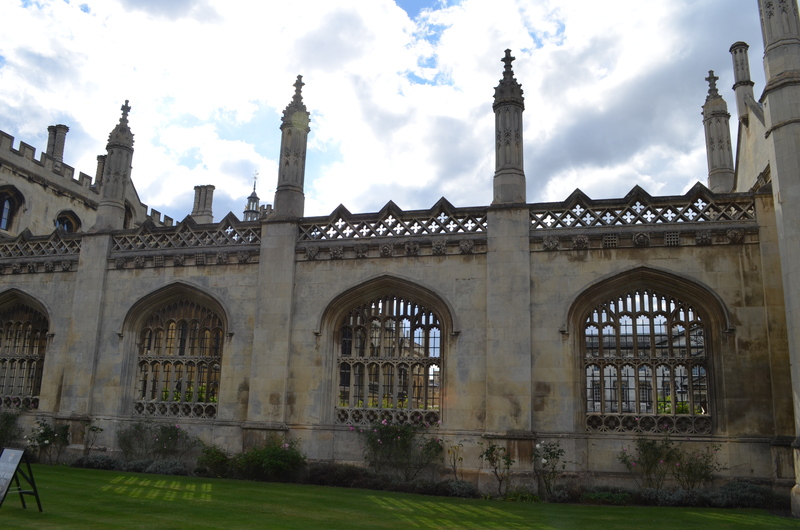 The first part was built by Henry the 6th for the 70 professors at Cambridge at the time. The second part to the rear was finished many years later by Henry the 8th, after the War of the Roses and was very opulent with carvings on all the walls, heraldry, etc. The first part was very simple by comparison. The picture below is of the second part. One of the most impressive aspects of this chapel, aside from the stunning windows, is the ceiling made of carved stone flying buttresses itself. Because of the ceiling construction and the amount of glass in the windows, it’s actually very light inside and I could take these photos without flash photography which was prohibited. The church forms part of a 4 building complex that is connected in a square and inside is a courtyard. I can’t even imagine going to school is this wonderfully nurturing environment. No wonder DNA was discovered here. No one wanted to leave. My university was constructed of concrete blocks, for the most part, and everyone left as soon as possible. Bachelor degrees at Cambridge are 3 year degrees, not 4, and if you live in Europe, it’s about 9,000 pounds which would be about 14,000 US dollars without lodging and food which is about another 8,000 pounds. If you’re from elsewhere, it’s 18,000 pounds plus lodging. Nurturing and inspiring, yes, but not inexpensive. Cambridge is a beautiful and inspirational medieval city sprouting seeds for the future. There is a beautiful, ethereal umbilical connection between its past, my present and mankind’s future. It is truly awe-inspiring. As I pondered and reflected upon all of this, I was struck with the weight of responsibility that all of us who work with DNA carry. DNA is a gift, indeed, a map, of the past, of the present and a cartographic key to the future. We have the responsibility and obligation to work with this Divine gift, ethically, morally and with only the best and most honorable of intentions. We now have the key to the genome, the Holy Grail of humanity. What will we do with it? What does the future in another 60 years, 2073, hold? Everyday in this new field, as we work individually to create a better whole, we are weaving our genetic legacy. This entry was posted in Education, Famous People, History, Research and tagged 2013 DNA Trip, General Information by Roberta Estes. Bookmark the permalink. Wonderful report and you look so rested after that nightmare you had earlier in London. What a beautiful place to see. Thanks! 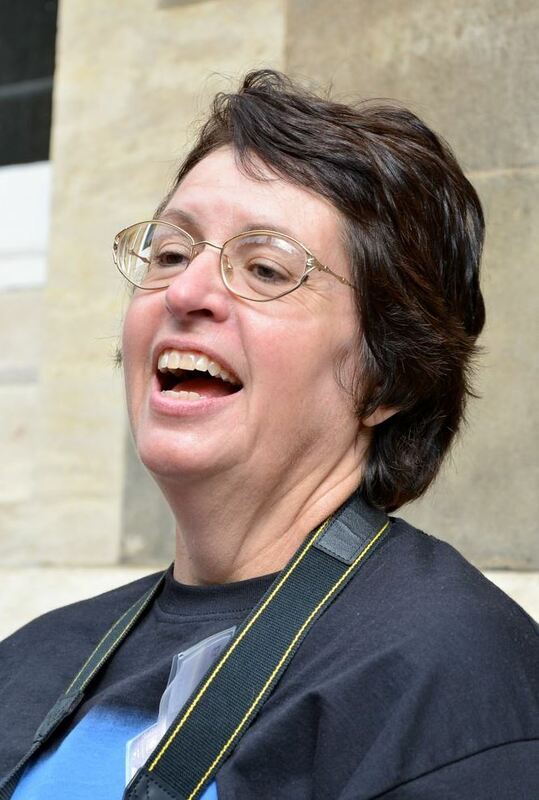 Love this Roberta….thank you for letting me travel vicariously through you! How perfectly wonderful of you to share all this information and pictures! I know you had a wonderful time! THANKS! 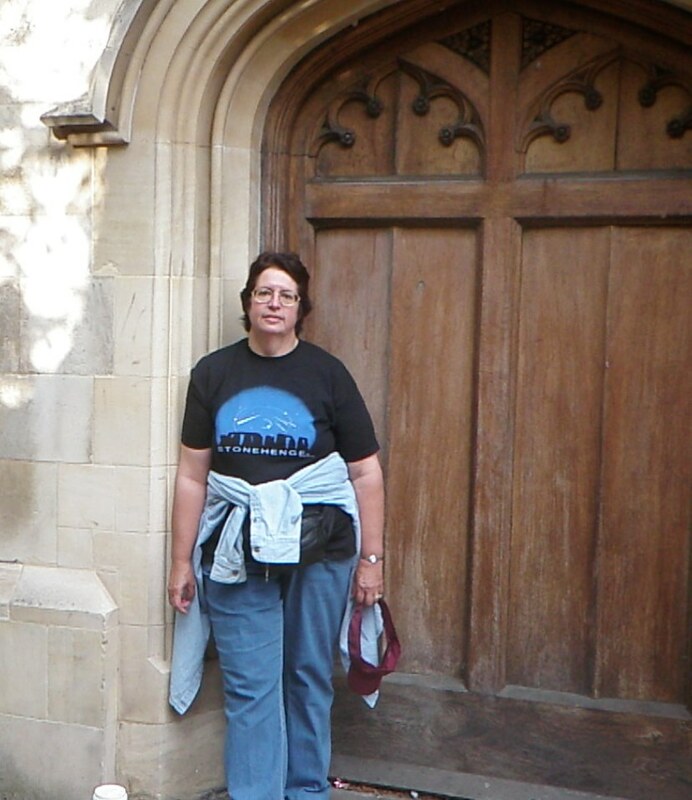 What a wonderful tour, Roberta! – I was there about 20 years ago, and was thrilled with everything, including the old 13th Century round church just outside the ‘point’ of the old city centre!! 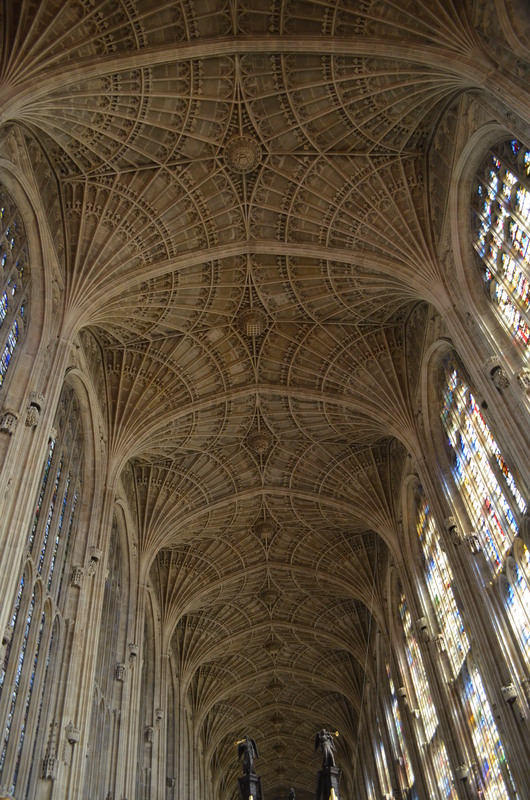 But the show-stopper for me was looking up and seeing those fan-shaped ceiling supports in Kings College… Phenomenal. I stood there for ages, thinking about architecture, physics, and the beautiful art of it all. Love your photos, love your excitement, and the DNA history as well. 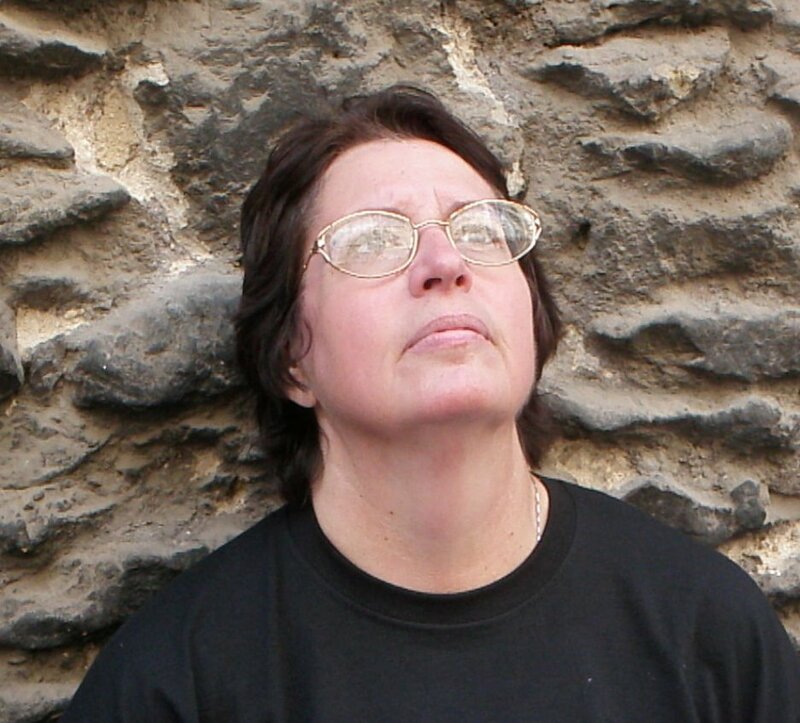 Whew – I feel like I’ve been on another journey!! Cheers!! I have been thoroughly enjoying your tour. My grandmother was a Watson from Kentucky. I wonder if the DNA genius was a part of her family. Thank you for sharing the beautiful photos. I was most touched by the last paragraph, Ethics is so seldom mentioned. Yes, thanks Roberta. I refer to my granddaughter as, “My link in a chain that extends into the future”. ibid Celia Lewis’ comment. Great reading and viewing Roberta. I’m envious. Loved your Stonehenge Tee shirt!! Did you get it in the UK?? Yes. A couple of days before the photo. I would love more information about your trip! 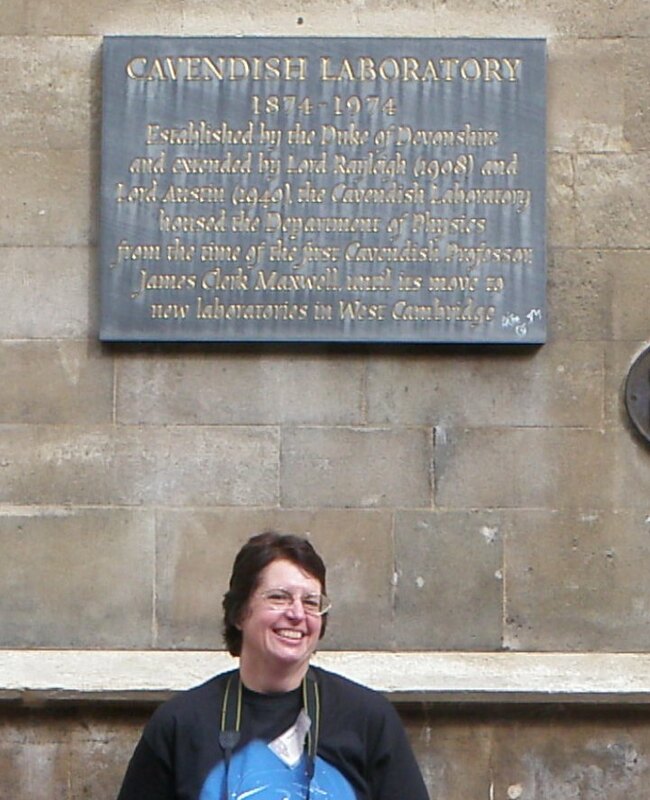 Where did you stay, were there any specific science tours in London? Etc. I don’t know of any specific tours that are science related, although you might call the museum and ask. We stayed in the Henry VIII Hotel near Kensington Gardens, within easy walking distance. We also stayed at the Lancaster Gate, which I liked much better, had AC, was closer to the Gardens and was only slightly more per night ($70 vs $97). Oh, and they have elevators too. If you look on this map at this link, and follow Exhibition Road across Kensington, you’ll see the London Science Museum. Francis Crick’s original DNA helix model is there, albeit buried in the car stuff of the 1950s. I wish we had more time in London. I would have liked to have seen much more.